Like most bakers (and bakerettes ^_^) out there, I’m a total Pinterest fan. 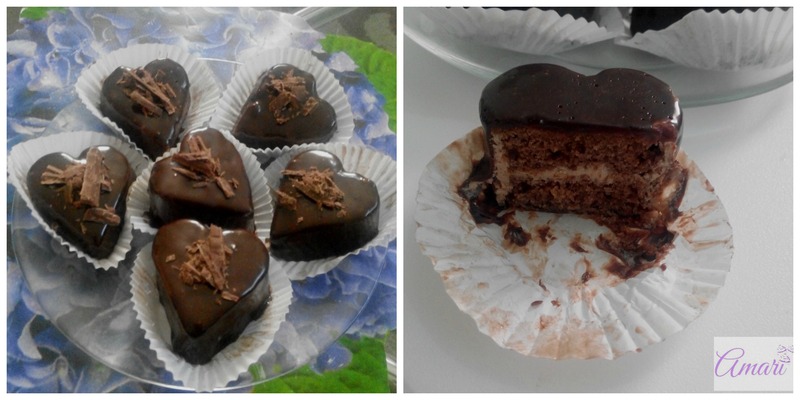 I saw a picture tutorial on some mini chocolate cakes on Pinterest and I decided to try my hand at it. I’m pleased to say the results were amazing and came out as planned. I have therefore decided to share how I did it with you so you can try it out as well and be pleased with yourself as I was when I finished and admired my handiwork ^_^. Place your cake pieces on a board ready for assembly. Fill an icing bag with your chocolate buttercream frosting, you will use this as the filling. I used a small start tip to pipe the frosting (no. 18). Pipe the frosting into the center of one cake piece and stack another piece on top of it and press to make sure they hold together. Do this for each pair of cake pieces until they are all used up. 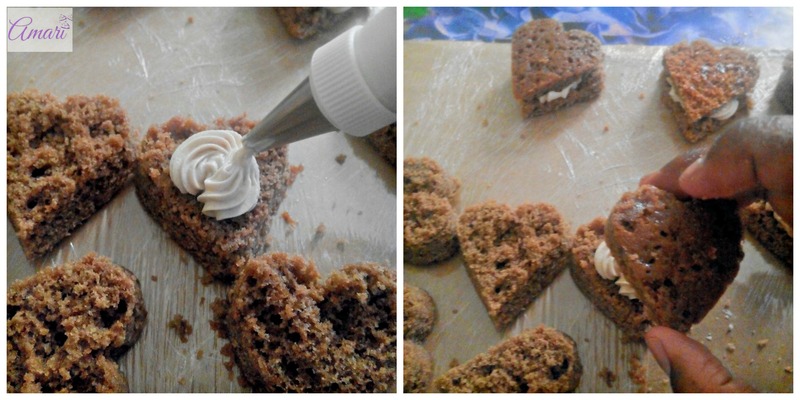 Using a small icing spatula, frost the sides of the mini chocolate cake pieces as smooth as you can get them. You can also choose to frost the tops if they are not even; however, I didn’t frost the top for mine since most of them were even. Once they are all frosted, place them on a cooling rack ready to pour chocolate ganache on them. Place the cooling rack on to a tray since the ganache will drip, you can also place a sheet of foil under the rack as well. then pour it as evenly as possible onto each mini chocolate cake. Make sure the top and all the sides are covered by the ganache. 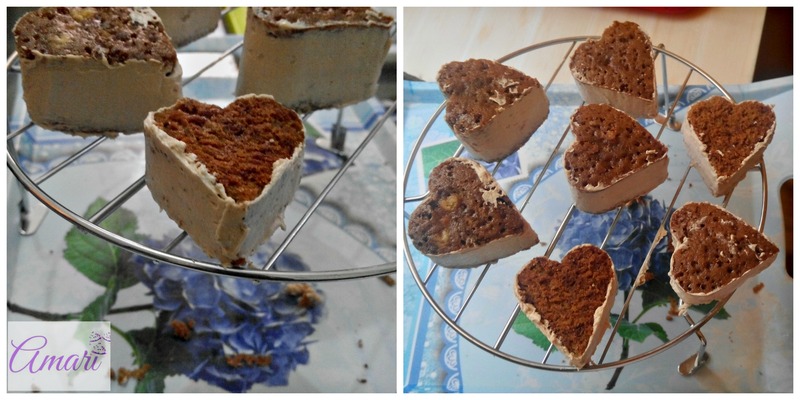 Leave the mini cakes on the cooling rack to finish dripping and to dry. For packing or presentation, you can use regular cupcake liners to place the mini cakes onto. Use a flat spatula to lift the cake from the rack to the liners. To garnish, you can choose to grate some chocolate pieces and place them on top of the mini cakes; either white or dark chocolate based on your preference. I used dark chocolate. Voila! 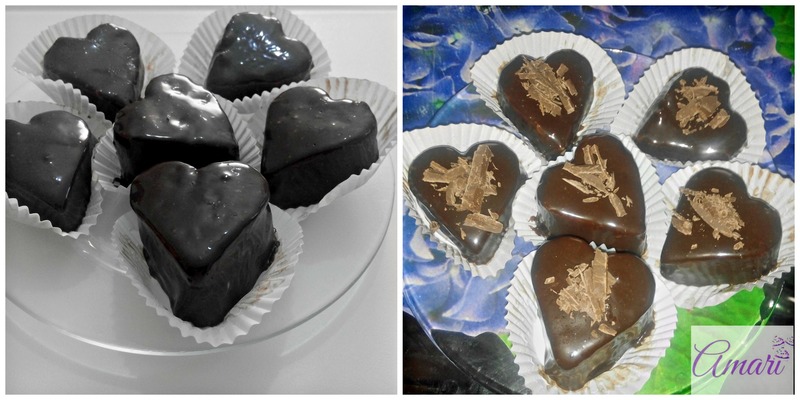 Your Chocolate Mini Cakes are ready to eat. Bon Appetit! Heat your cream in a small pot to a simmer (until you start seeing small bubbles on the side). You can also choose to microwave between 15 to 30 seconds to heat up the cream. Remove from heat and in a medium bowl; place the chopped dark chocolate in the bowl; then pour the warm cream onto the chocolate. 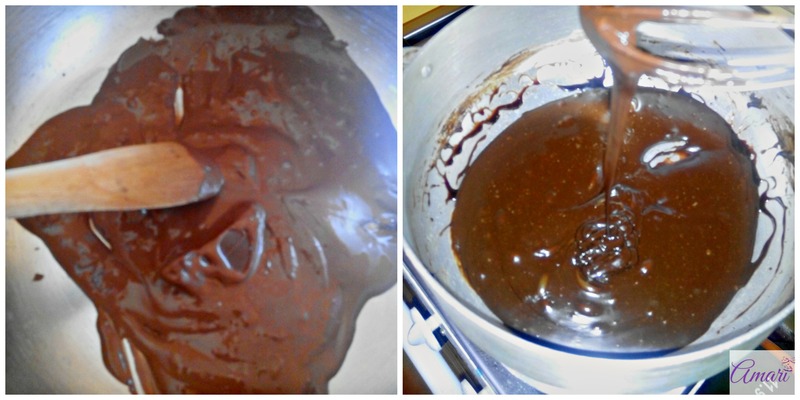 Let it sit for a few minutes, then start stirring with a spatula until the chocolate is completely melted. 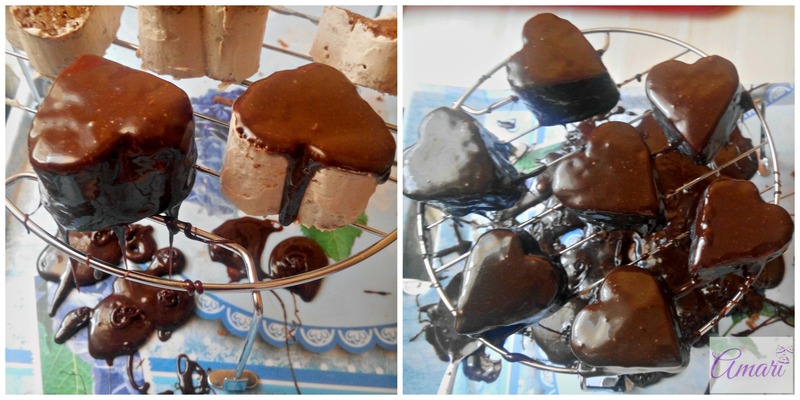 To ensure all the chocolate is melted, you can use a double boiler; keep stirring until all the chocolate melts. You can then add the butter and stir until incorporated. Remove from double boiler and use the ganache. If you would already know how to bake, but would love to learn intermediate baking techniques such as frosting with Chocolate Ganache – please check out our Intermediate Cake making & Decoration Course schedule. Click on this link and book your spot for the next available class to start learning. Do try out this recipe and share your results below please, feedback is always appreciated.